Join us for a magical Christmas on this fun-filled activity holiday in Finland, look forward to husky sledging on Christmas Day and of course a visit to Joulupukki, the "original" Finnish Santa Claus. Plus enjoy a fabulous selection of taster activities including snowmobiling, horse sleigh rides & reindeer drives! Our destination for our Christmas celebrations is the Wild Taiga region of Finland. The region is a wonderful destination for winter activities (with eyes peeled for the Northern Lights) and famed for its wildlife, some of which is now either extinct or incredibly rare elsewhere in Europe. Its geography is dominated by hills, forests, lakes and rivers, which are home to moose, reindeer, and large carnivores including the brown bear, wolverine, grey wolf and lynx. From our perfect winter wonderland setting, we have included a whole host of activities to get us into the Christmas spirit! We can enjoy a taster horse sleigh tour, taster snowmobile sleigh drive and taster reindeer drive where we can discover some of the best ways to travel in Finland! Plus with warming hot drinks around a traditional camp fire in the evening we can keep our eyes peeled for the magical Northern Lights. We can also look forward to a festive Christmas Eve Lunch and Dinner and Christmas Lunch, a visit to Kuhmo Church where we can light a candle for loved ones and a transfer to midnight mass. 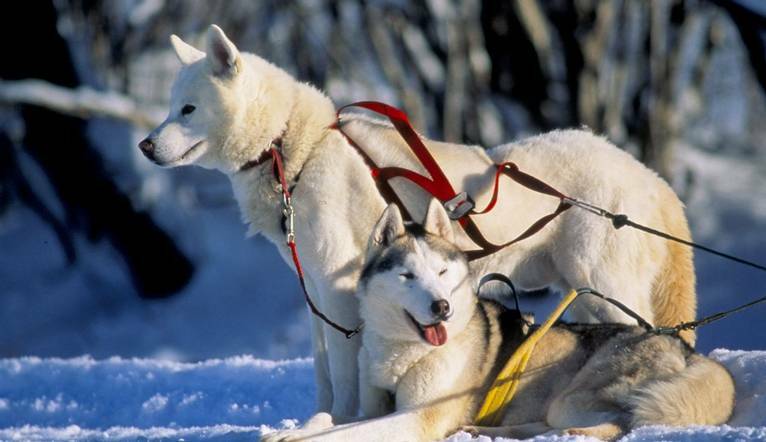 On Christmas Day we can enjoy a husky sledging excursion and we can look forward to driving ourselves! All these activities and the use of sledges and kick-sledges are part of your trip and are sure to get you fill you with festive cheer.